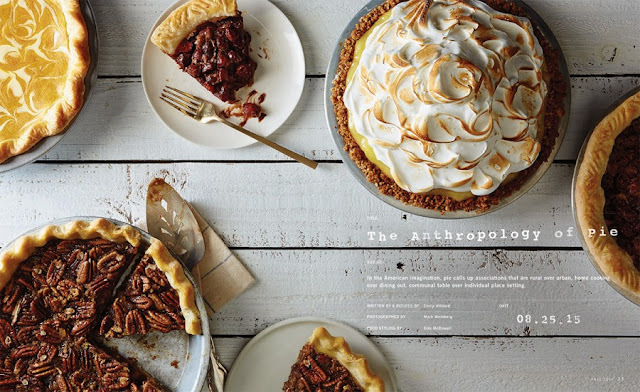 Earlier this year, I was given the dream assignment of writing "The Anthropology of Pie" for the fall issue of King Arthur Flour's baking magazine Sift. As I could write chapters on the subject (and maybe some day I will), I decided to zoom in on historical moments where pie has displayed its economy, ingenuity, and scrappiness to reinvent itself in contexts both urban and rural; commercial and domestic; individual, and communal. Sift also included four of my pie recipes (three original, one adapted from the excellent First Prize Pies by Allison Kave), all of which first appeared on the blog: Cranberry Chocolate Chess Pie, Passion Fruit Meringue Pie with Macadamia Crust, Delicata Squash Pie (from the early days! ), and Bourbon Ginger Pecan Pie. Thank you to the kind folks at King Arthur flour, especially editor Susan Reid, photographer Mark Weinberg, and stylist Erin McDowell for making my pies and words look so good. 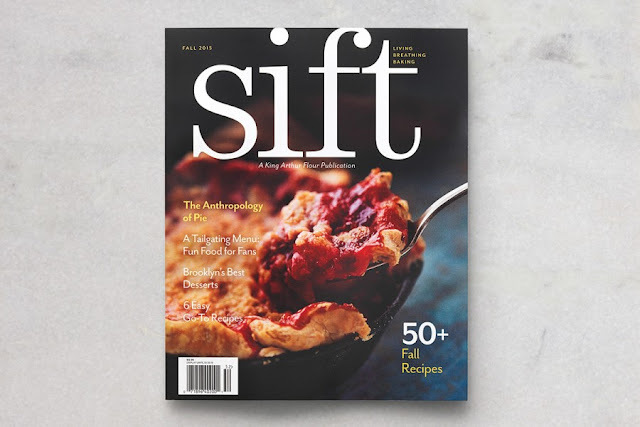 Sift is available online and in many book and grocery stores around the country.